Here’s another photo of the train engine as we rounded a bend in the track. The rock wall was even closer this time. 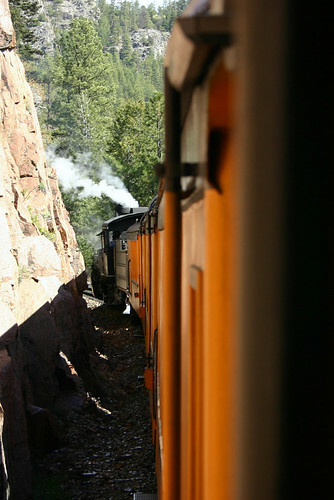 This entry was posted on April 24, 2008 at 8:38 am and filed under Colorado, Durango, Narrow Gauge Railroad, railroad, Silverton, train, vacation.